The weather is getting warmer and days are getting brighter, and it’s almost patio season! (Or is it here already?) Regardless, April brings Easter and with Easter brings the River District Golden Easter Celebration. We’re also featuring a rosé wine tasting for this month’s Wine Wednesday with Everything Wine. Following March’s theme of nutrition, we’re having a Plant-Based Lifestyle session for Ladies Night where we will be discussing the various benefits of incorporating more plants in our diets. 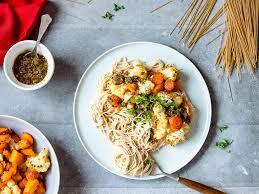 Our experts will also be providing recipe ideas and much needed ways to include more plant based foods. 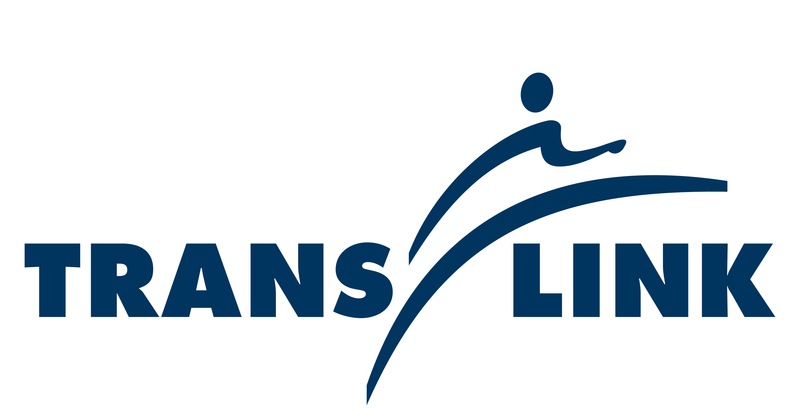 Translink is back at River District and hosting a Community Open House to gain resident input on upcoming Translink bus route changes down by the river – so come down and give your input. 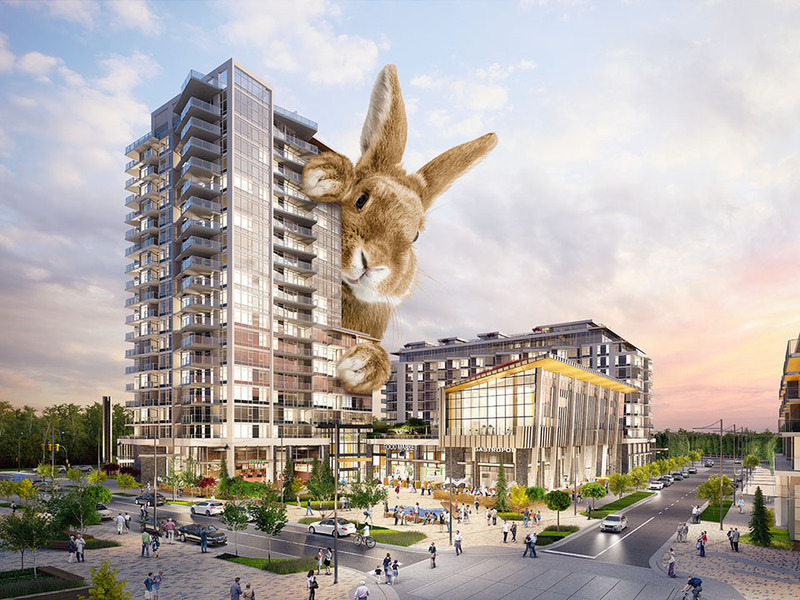 To celebrate Easter, River District will be hosting a Golden event on Sunday, April 21st from 9:00am to 2:00pm. This year, we’ve extended our event to Town Centre with the help of our retail partners. There will be a huge bouncy castle, face painter, balloon twister, caricature artist and complimentary hot chocolate, green tea, and crafts. Meanwhile, the Easter Egg Hunt will take place at the River District Neighbourhood Centre with 8 Chocolate Egg Hunt time slots. They will also have face painting, crafts, and a golden balloon for every child. Participants for the Easter Egg Hunt are limited to 40 children per time slot. Please note that this event is for children between the ages of 3 and 10. All children must be kept under supervision of his or her parents/caregivers. Registration for the Easter Egg Hunt opens on April 8th, click here for more details. Join us for upcoming activities at River District. Translink is proposing introducing a new limited stop/express route connecting River District to Marine Drive station during peak times. ​​​​​​​Learn more about this proposal and provide your feedback at this Open House. 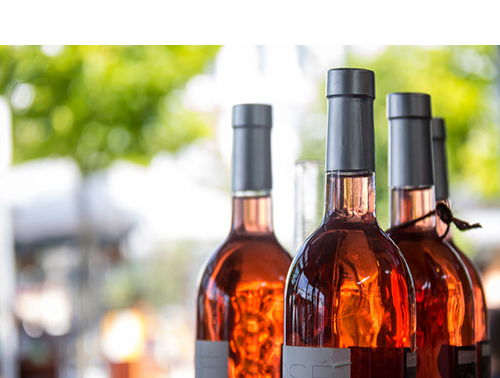 This month, we’re featuring a Rosé wine tasting. Learn how this wine gets its beautiful colour and taste a variety of rosés including a sparkling one. Perfect for Easter dinner! For this month’s Ladies Night, we will be learning about plant based foods. With the changes in Canada’s Food Guide and more people switching to a plant based diet, learn about the health and environmental benefits from our panel of experts. A look back at some of the fun had at River District. 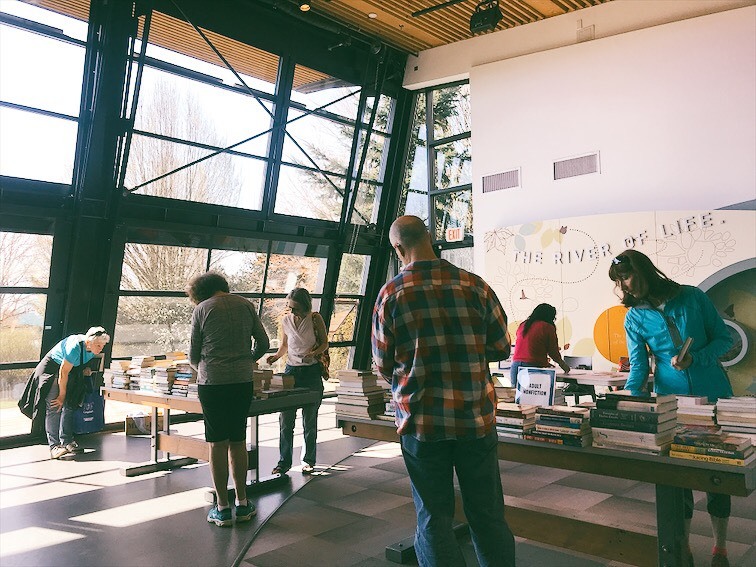 Bookworms abounded as we held our first ever River District Book Swap! 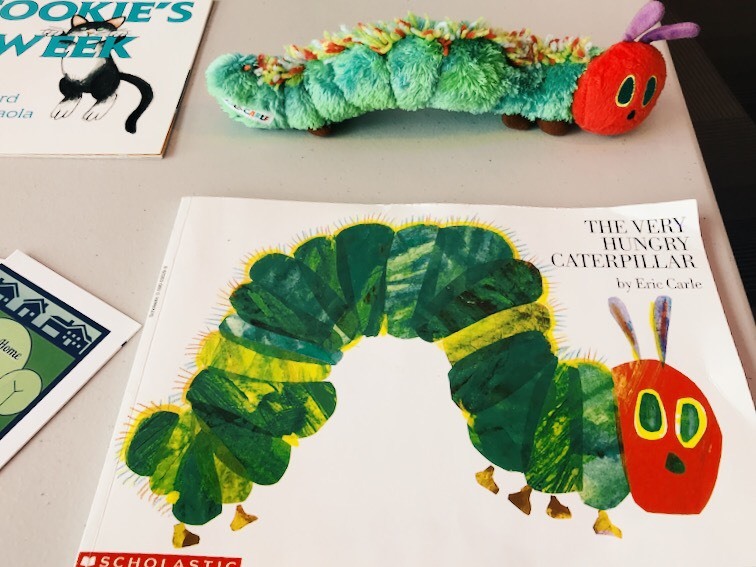 A big thank you to everyone who donated their preloved books as well as those who came out and found a new book or two. We also appreciated having our friends from Vancouver Public Library – Champlain Branch and South Vancouver Family Place join us. Donated books found new homes and many book lovers found new reads. Everyone had a fun time and enjoyed themselves as they shared notes on their favourite reads. 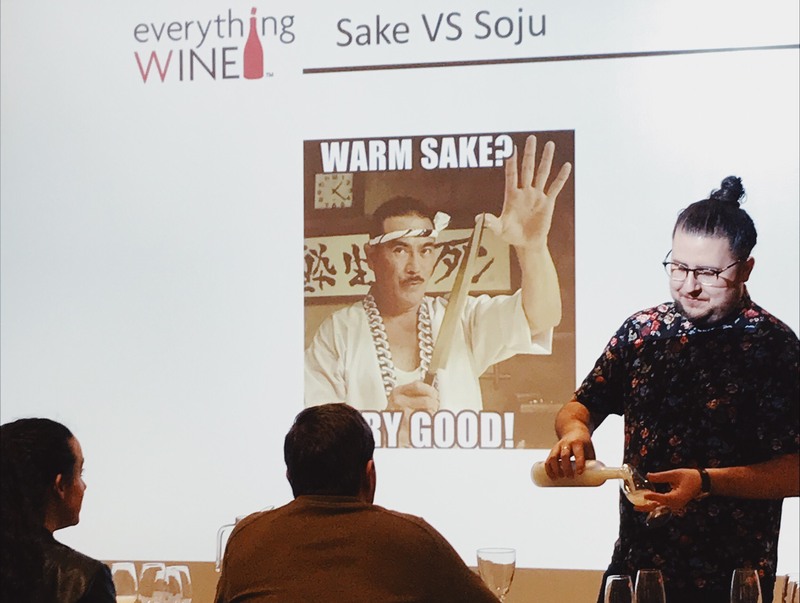 Last month we took our taste buds on a trip to Asia with a special sake and soju tasting at Wine Wednesday with Everything Wine. 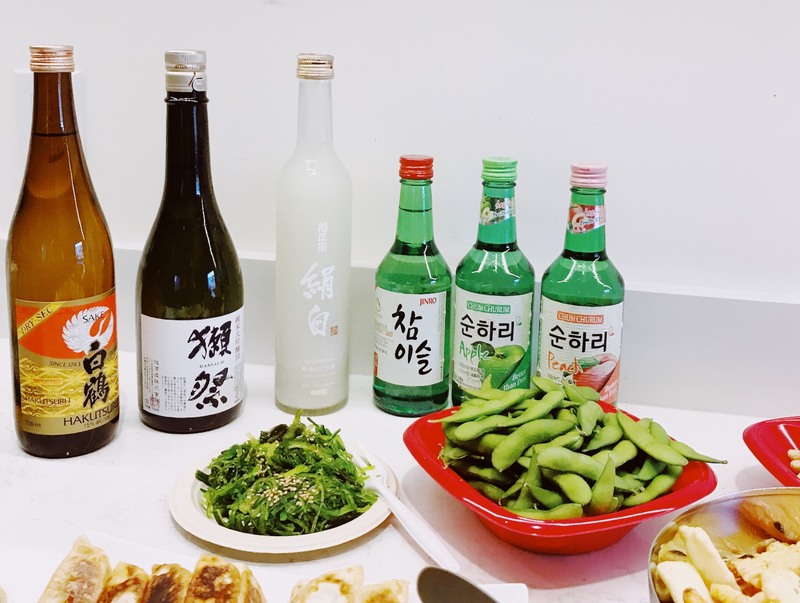 We sipped the popular Japanese and Korean beverages, paired with a couple of our favourite Asian side dishes. Kris did a wonderful job of educating us on what these beverages are exactly (for us newbies), as well as drinking and pairing methods. As spring is here, we think it’s the perfect time to transition to lighter wines with our Rosé tasting session this month! 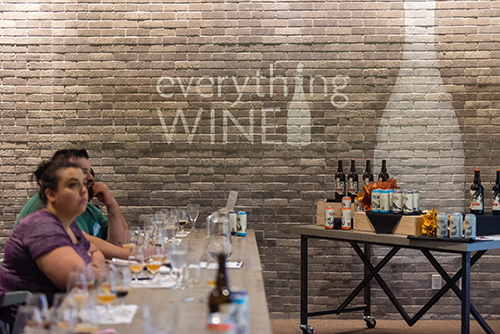 For more events with Everything Wine, please click here. See what’s happening at River District. The long awaited announcement many of you have been waiting for! 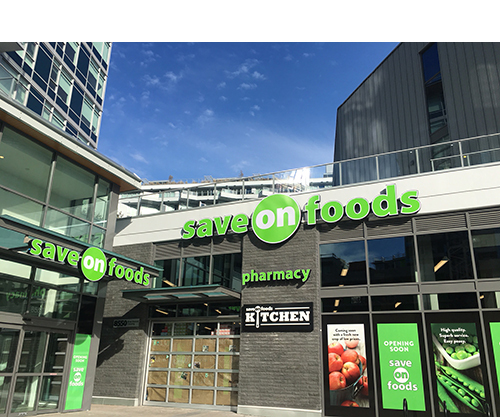 On Friday April 5th, River District’s Save-On-Foods will be opening its doors to the community. Start planning those shopping lists and get ready to walk from your front door to the grocery store and back. Come celebrate the official grand opening on Saturday April 6th, for special events throughout the day including food demos and family fun. Visit Save-On-Foods website by clicking here. Sushi Mura is coming and opening soon. The sushi master has said ‘We are almost done’ and will advise on their opening date shortly. We can’t wait till it opens so we can get our sushi fix! With another Town Centre retail partner, River District Town Centre is quickly becoming the place to be. 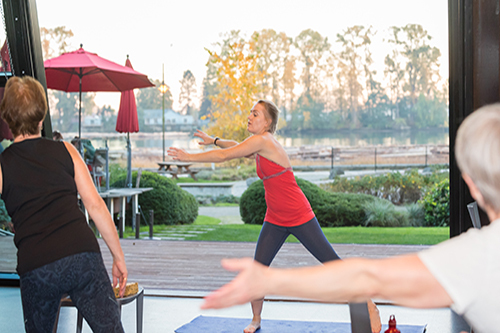 A few changes happening with River District Yoga. 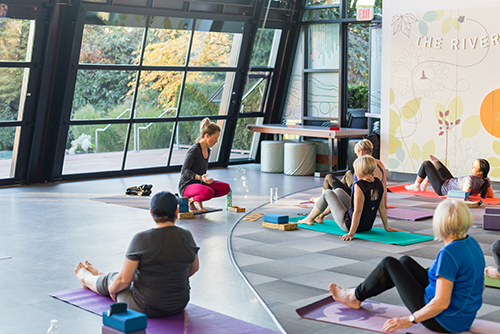 The Hatha Flow class on Saturdays at 11:15am has been discontinued. But, we’re pleased introduce Yoga: Stretch & Strengthen on Thursdays at 5:00pm starting April 11th. The Yoga Special Edition Workshop will still continue on the the first Thursday of the month. 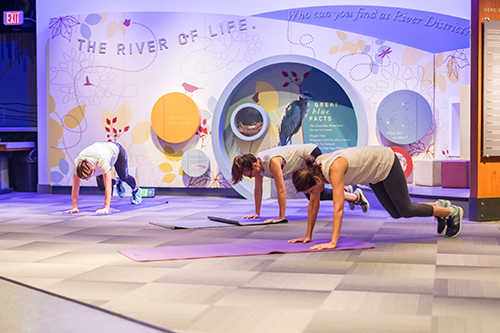 We hope you can join us for your yoga practice. For more info on the yoga program, click here. As the growth and development of River District community continues, Wesgroup would like to inform residents that various stages of construction will be ongoing at many building locations. Over the next few months, piling driving for Parcel 16.2 (located at 3438 Sawmill Crescent west of Town Centre) will be occurring to be completed in July 2019. 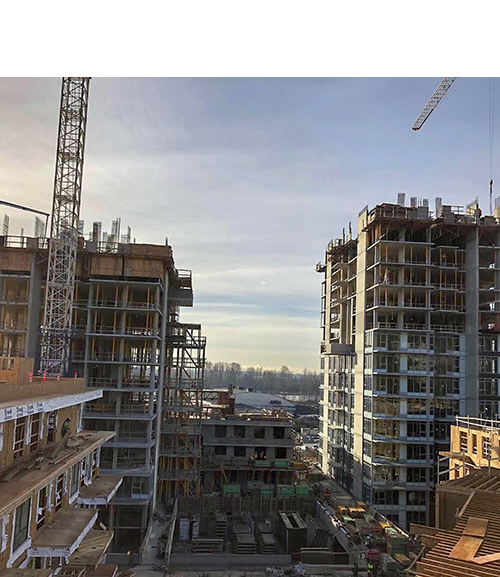 This particular operation will bring an increased noise level to the area, however, Wesgroup will be working within the City of Vancouver’s noise bylaw construction hours of 7:30am-8:00pm weekdays and 10:00am-8:00pm Saturdays. We sincerely apologize for any inconvenience the additional noise causes. 604-648-1800 and they will look into the matter. Come check out the River District Neighbourhood Centre Programs. If you have any programming ideas, let us know!